Greystoke Surgery now offers evening and weekend same day GP and pre-bookable nurse appointments to patients. Please contact reception for further details. For urgent requests a doctor can be contacted throughout the day by ringing the surgery number – 01670 511393. 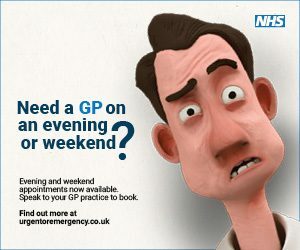 A GP is available for urgent advice by telephone until 6.30pm.